Putting aside the threatening tone, which I’m used to, Thompson’s words leave me wondering if I’ve packed enough golf balls to get me through three days of competition on the Old Tom Morris-designed ghost course. If the rough is deep enough to conceal an NBA small forward, it will easily consume my meagre stock of Pro V1s. Not that I care. My real purpose in returning to Askernish is to complete my “This Old Course” series on Askernish, which began a couple of years ago in Sports Illustrated Golf+ and will conclude this fall on Golf.com. To facilitate that coverage, I am traveling with state-of-the-art digital cameras, notepads, a pocket recorder, mosquito netting, quinine pills, a safari jacket and a fully-operational Bomar Brain. All this gear is currently piled on my bed at the Glasgow Marriott, which has long served as my base camp for expeditions to Ayrshire, East Lothian, the Kingdom of Fife and the Scottish Highlands. This visit, as I patiently explained to Ralph, will have no bearing on the Top 50 rankings, which are issued by our staff at Catch Basin on the basis of scientific calculations far too sophisticated for either of us to comprehend. Top 50 on TV: Nothing this week, but an 18-year-old Englishman won the U.S. Amateur last week at The Country Club in Brookline, Mass., currently No. 31 on the Top 50. Coming 100 years after Francis Ouimet’s stunning victory there in the 1913 U.S. Open, Matt Fitzpatrick’s victory avenges the historic humbling of the British greats, Harry Vardon and Ted Ray. All the best to you, Sir Ralph, and the wonderful folks at Askernish. Looking forward to your reportage, and impressions of the changes and improvements. Our lot from Minnesota will be over again in mid-May of 14. 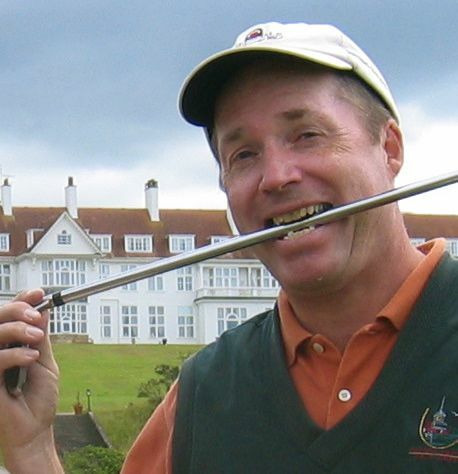 John – Just a big thank you for all your comments re Askernish, TOC and many other Old Tom Morris courses. These courses represent the real way to play golf, that which launched the game not just in Scotland, UK, the Empire but Worldwide. They are the actual legacy of the game once known as The Royal & Ancient Game of Golf. 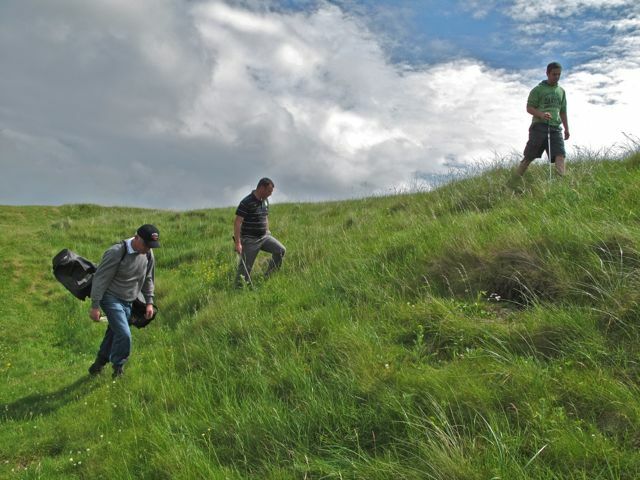 Problem today is that real golf needs commitment, it requires a challenge, its not about a ride in the park assisted by all forms of aids, its a game that sorts the men out from the boys, its a game of chess on Natures Natural land with a little helping hand by Man. Its the most invigorating way to play the game as it does not require long aerial shots thanks to the wind, no carts, distance aids or high tech equipment, and even playing these course with Hickory clubs can give as much pleasure as any golfer can hope for . I thank you for your many enjoyable reports on Askernish. I am related to Old Tom Morris, Charlie Hunter and Allan Robertson. 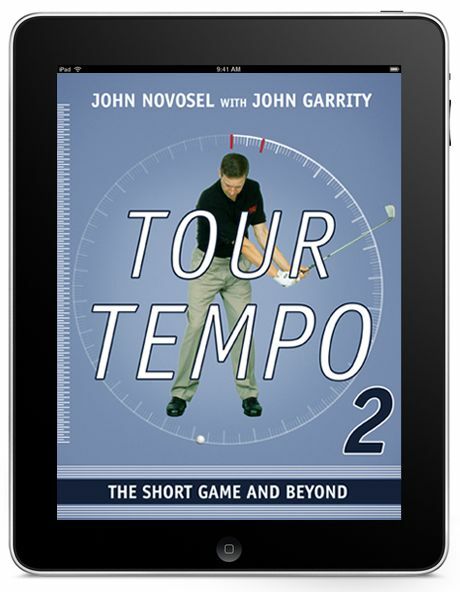 The sequel to Tour Tempo explains why you can't get out of a greenside bunker. Marty DiBergi: Oh, I see. And most amps go up to ten? Marty DiBergi: Does that mean it's louder? Is it any louder? Nigel Tufnel: Well, it's one louder, isn't it? It's not ten. Can Turnberry’s View Be Saved? The View From Turnberry: Less Grand? "I am, by nature, a control freak," Tiger told Garrity for his SI cover story, "Tiger 2.0"
4. Grand Reserve Golf Club, Bunnell, Fla.
5. Imperial Lakewoods Golf Club, Palmetto, Fla.